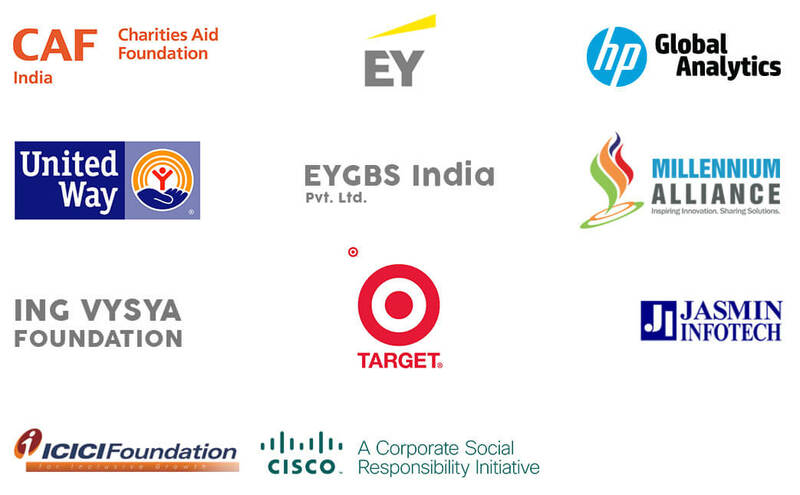 Our partners are the cornerstone of Akshara Foundation. Without them we can’t ensure Every Child in School and Learning Well. They are foundations, organisations, individuals, local communities, parents, government officials, teachers, non-profits, photographers, bloggers and everyday people just like you. In our mission to universalise quality primary education, they share their talents and resources. Together they share our vision and help make it a reality. We apologise if you are not listed by name and want each of you to know that everything we receive is truly appreciated. Akshara Foundation is registered under the Indian Registration Act on March 2, 2000 (Registration No. 335/1999-2000). The Trust Deed is available on request. Akshara Foundation is registered under Section 12A of the Income Tax Act, 1961. The 80G Certificate is renewed under Number DIT (E) 80G(R)/96/AAATA4879R/X-445/2011-12 dated June 23, 2011.